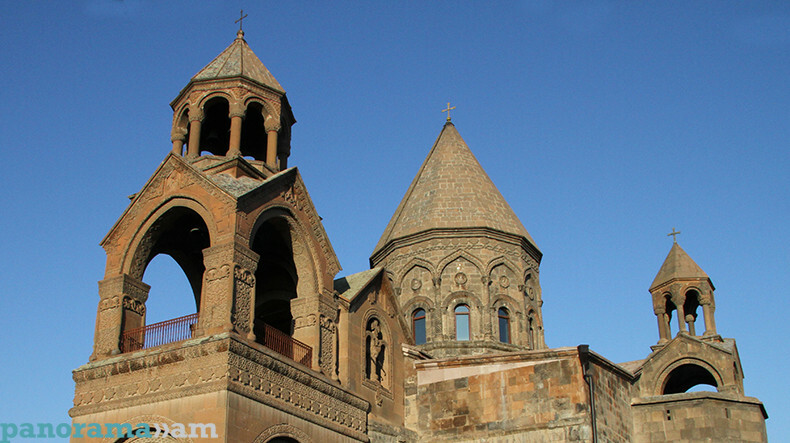 The Armenian Apostolic Church commemorates on Tuesday Sts. Bishop Akipsimos, Priest Hovsep (Joseph), Deacon Ayitala and Martyr Platon, the official website of Araratian Patriarchal Diocese reports. Bishop Akipsimos (Aquiphsimeus), Priest Hovsep (Joseph) and Deacon Ayitala (Ayethalus) were martyred in the fourth century. Akipsimos was Persian. Together with the Priest Hovsep (Joseph) and the Deacon Ayitala he has been imprisoned during the persecutions against Christians realized by the King Shapouh II. Bishop Akipsimos, Priest Hovsep (Joseph) and Deacon Ayitala are taken to the town Arbela to stand trial by the heathen supreme priest of sun - Ardakh. However, they refuse to worship the sun and the fire. They are thrown into a deep and dark dungeon, where they remain for three years. Later the saints are sent to Media to stand trial by the King Shapouh II, where they are martyred. According to the hagiographers St. Akipsimos is beheaded, Priest Hovsep (Joseph) and Deacon Ayitala are stoned. St. Platon (Plato the Martyr) was born in Ankuria, in the family of a Christian pious priest. Since childhood he was brought up and educated in Christian spirit. After his parents’ death Platon sells all his property and distributes the sum to the poor and the needy and dedicates himself to converting the heathens to Christianity and spreading of the Word of God. Because of being Christian he is imprisoned and subjected to severe torments. The judge does not manage to force Platon to renounce Christianity and to offer sacrifice to the idols, therefore he orders to behead the saint. St. Platon has been martyred in the first quarter of the fourth century.